Most of us are not consciously aware of the large extent to which color affects our moods. Green creates a feeling of tranquility. Blue makes you feel productive. Yellow infuses you with energy—and makes babies cry. The Psychology of Color, a cool infographic produced by NowSourcing, is all about color and its effect on our psyche. When deciding what hue to paint a room, or what color pallet to choose for your home and bathroom decor, you might want to consider the psychological impacts of your choice as shown on this infographic. If you don’t like the infographic or the information that’s on it, well, maybe that’s because it used too much red. These are always interesting, and at the same time can be misleading. “Too much information” in the sense that how does someone make a really good ‘best guess?” As long as it’s taken as a fun exercise and not taken as the final word, it’s entertaining. barbara jacobs recently posted..What’s here to stay, and here to change? Color Trends. Period. This is a beautifully designed infographic. but the application of the color theory to room colors is too simplistic. Lavender may be calming, but in American culture men do not feel comfortable around lavender. Red in a dining room may stimulate appetite and conversation, but it will also stimulate movement (eat and run dinner anyone?) and may stimulate arguments. And Pink in a girls bedroom is a response to the marketing of pink and purple toys, clothes, accessories to young girls for the past 10 years. It is indoctrination, not color psychology-especially the shocking pink that is ubiquitous in the marketplace. Different shade of a color can be the difference between color psychology success or failure. What a great piece – thanks to HARO for directing us here! Not only is this infographic really nice to look at, but factually it’s accurate and really informative! 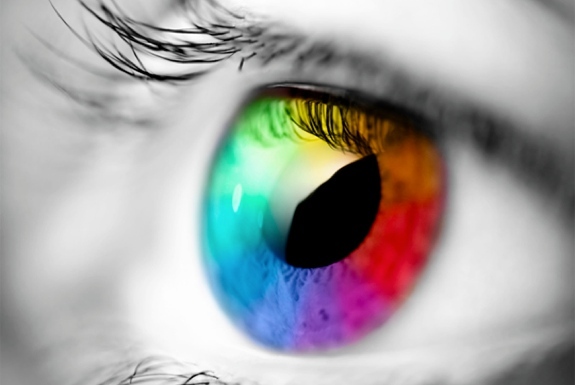 As a brand and web design company, we’re naturally fascinated by the psychology of color. In fact, we published an entire series on the subject of “Color Psychology and Brands” on our own blog. We don’t like being “spammy”, but if anyone’s interested, check out the link below – we hope it adds to the conversation! I have a copy of this infographic in my laptop. I am going to apply this in some parts of my home. This is really helpful. What would be a nice color for doors and windows? A home’s exterior – including its windows and doors – should ideally coordinate to deliver a custom look that helps its owner to be proud to call their own. These days it’s possible, to coordinate a mix of siding profiles and stone, along with windows and other elements to create a unique, architectural look with deep/rich colors (check out the Designed Exterior by Ply Gem).